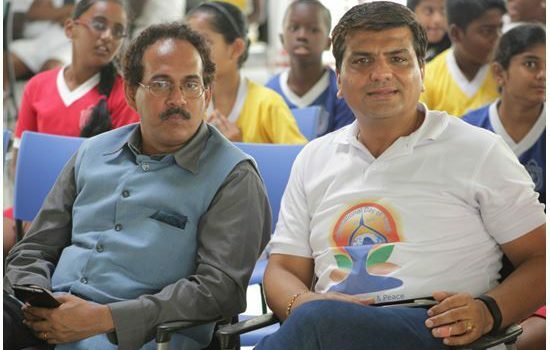 Ghana’s Deputy Minister of Education has entreated citizens to embrace Yoga as a preventive health care mechanism to reduce the number of health cases recorded in hospitals. Hon. 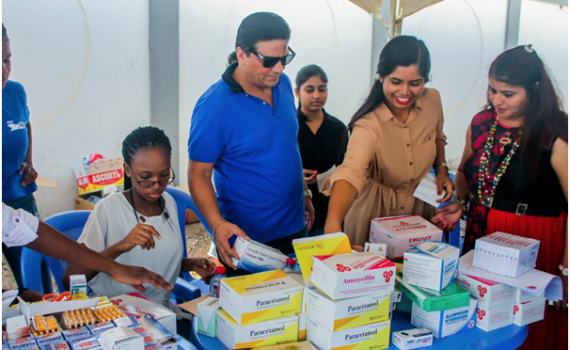 Samuel Okudzeto Ablakwa was the guest of honour at a curtain- raiser event organized by the Indian High Commission in collaboration with the Delhi Public School International (DPSI) located at Tema Community 25. The Indian High Commissioner to Ghana, His Excellency K. Jeeva Sagar ( left) and Director of DPSI, Mr. Mukesh Thakwani (right)) at the International Day of Yoga event.